As a Company based in Switzerland, security and privacy is very important to us. We never store your source code or any other data from your GitHub repository on our servers. We never store your OAuth token on our servers and your token is never exposed to the browser unencrypted. All information is queried live via the GitHub API. All communication is over https. CodeReviewHub makes my whole teams life so much easier. We can finally do code reviews and know we have addressed all issues. 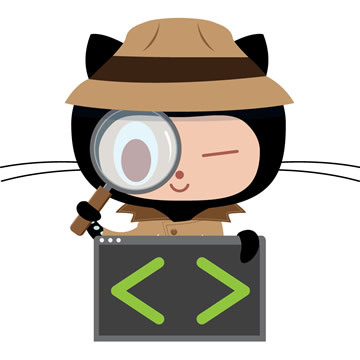 CodeReviewHub makes it easier to code review pull requests on GitHub. CodeReviewHub automatically adds a task list in every pull requests description. Every comment a reviewer makes in a pull request gets added as a task for the developer. The developer then works through all these tasks, fixes them and marks them as completed. After this the reviewer comes back and either approves the pull request or adds new items to the task list by writing new comments. Every comment that you make in a pull request or in a commit of a pull request automatically gets added as a item to the task list. Every item in the task list can be marked as by checking the checkbox next to it and then clicking on "Mark as completed". Alternatively a task can be marked as completed by replying to the task comment with :+1: . When the reviewer is happy with the pull request, it should be approved by either clicking on "Approve Pull Request" or by adding a general :shipit: comment. To undo an approval click on "Undo approve" or comment with :shipit::gun: . Every item in the task list can be marked as again by unchecking the checkbox next to it and then clicking on "Mark as completed". Alternatively a task can be marked as remaining again by replying to the task comment with :-1: . Bored? Try out the new AirConsole: Your browser turns into a video game console. Your smartphone turns into the gamepad. © N-Dream AG 2017, Löwenstrasse 65, 8001 Zürich, Switzerland.